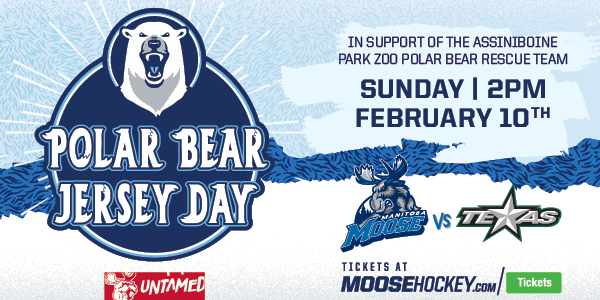 The Manitoba Moose are set to host their fourth annual Polar Bear Jersey Day on Sunday, Feb. 10 at 2 p.m. The Moose will wear specialty one-of-a-kind Polar Bear Jerseys as they take on the Texas Stars. The jerseys will be auctioned off on the concourse during the game, and online following the game, with the proceeds going to the Assiniboine Park Zoo’s Polar Bear Rescue Team. 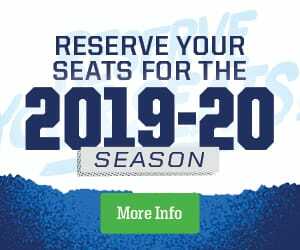 The first 2,000 fans entering Bell MTS Place will receive a fan clapper to help bring the noise during the game. Plus – every fan in attendance will be going home with a FREE Children’s Admission Pass to the Assiniboine Park Zoo! Tickets for Polar Bear Jersey Day are available at moosehockey.com/tickets and through the Moose App.